Today, with modern technology, tornadoes are very easy to identify. 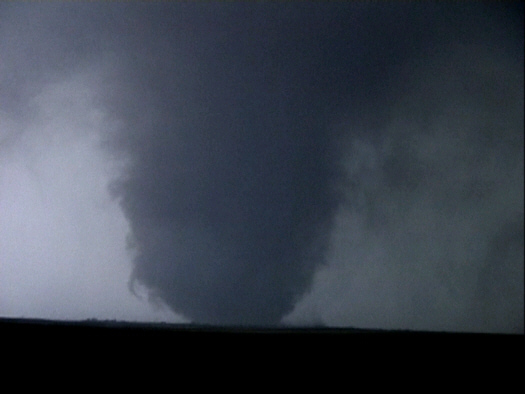 Most everyone has at least an idea of what a tornado is and looks like. But was this always so? In July 1643 Governor John Winthrop described a sort of wind gust that could have possibly been one of the first recorded tornadoes in history. Winthrop, who was ever conscious of the weather, recorded that there was a sudden gust in northeastern Massachusetts and costal New Hampshire. According to Winthrop this “gust” blew down many trees, filled the air with dust, lifted up a meetinghouse in Newbury, and killed one Indian. Because there was no weather technology in that time period we have no way of knowing whether this “gust” was a true tornado or not. At Cambridge, Massachusetts on July 8, 1680, a “whirl-wind” was witnessed. Rev. Increase Mather tells in his Remarkable Providences of eyewitness accounts of this terrible whirling wind. One eyewitness, Samuel Stone, described it as a whirl-wind that tore trees, sucked up hay, tore off a large portion of a barn roof, and made a singing noise so very loud that the people around could not hear the falling objects. It was said that you could find people a mile away that could hear those objects falling. Matthew Bridge reported that its motion was continually circular, tearing bushes by the roots, removing old trees, and sucking up large rocks that were not found again. One servant man, John Robbins, was killed by this whirl-wind because of broken bones and overall body bruising. It is interesting to note that this “whirl-wind’s” path was close to that of a larger storm that moved through West Cambridge on August 22, 1851. Many more “gusts” and “whirl-winds” were described in the New England area during this time. A “dreadful havoc” was witnessed in Southern Connecticut in 1682. On July 1748 at Groton, Massachusetts, “a terrible tornado, with shocking thunder” was reported by Rev. Joseph Emerson with many other reports being given. Another tornado was reported at Leicester in 1759, and another on the Merrimac River in August 1773. 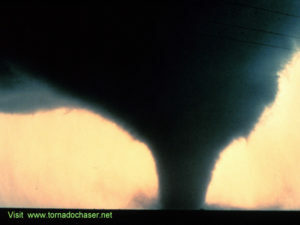 A whole tornado outbreak was reported to have happened in May 1782. The reports for the 1700’s go on and on, with all descriptions including things like trees being torn out of the ground, houses being racked and torn apart, barns being crushed to the ground, and people being carried short periods of time in these terrible destructive clouds. Even though there was no radar in these times that could enable us to check out these reports, it is quite obvious by their nature that these were no minor gusts of wind. 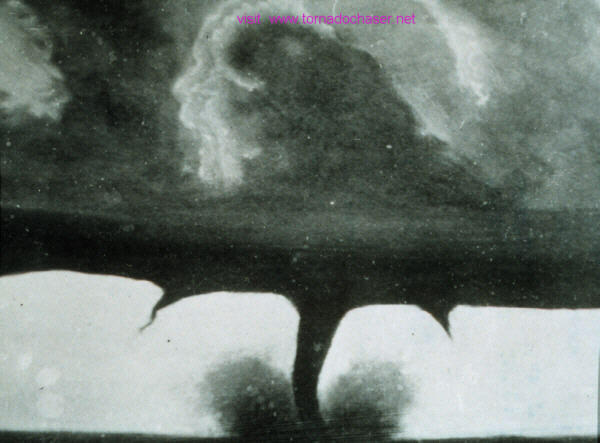 In Wethersfield Connecticut, August 18, 1787 a well documented tornado outbreak took place with some of the most interesting descriptions of a tornado ever. Here is a small portion of one account from that day taken from “Early American Tornadoes 1586 -1870” by David M. Ludlum Published by the American Meteorological Society. “CONNECTICUT Wethersfield, August 18, 1787 Mess’rs Printers, I was myself an eyewitness of but a small part of the hurricane, and that near the time of its disappearance, and at the distance of almost two miles from the line of passage I was, however, as soon as possible, on the ground, and spent most of the next day traversing for some miles the scene of desolation, making observations and collecting the best possible information from those who were near or saved from its fury. That my information may be as accurate as possible, I have delayed giving you the account until this day whether it be exactly so, I dare not pronounce in regard to other towns adjacent I can only say it is the best I can procure. The American 1700s usually bring thoughts of colonial times, the French and Indian War, etc. 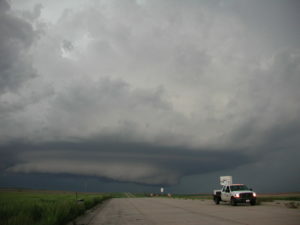 However many notable tornadoes were recorded during this time. In July 1748 one of these notable tornadoes made its course through Groton (now Pepperell), Massachusetts. This tornado dubbed the Pepperell Tornado was reported to have torn up large trees by their roots and carried them a large distance from the place they started. This tornado entirely demolished three buildings, removed roofs from many other buildings, and lifted structures off of their foundations and moved them a few feet away. According to the accounts given no lives were lost, but large damage was made leaving these poor people to clean up the Pepperell Tornado’s aftermath. At Leicester, Massachusetts, on July 10, 1759, a tornado passed through. This tornado, or as John Winthrop (a direct descendant of Governor Winthrop) called it “a terrible whirlwind” moved along form southwest to northwest. The tornado tore many trees up from their roots and proceeded toward the house of a man named David Lynde. The tornado was apparently strong enough to do massive damage to this house. Fourteen people occupied the house at the time the tornado struck and one man even lost his life. He was in the west-chamber of the house and was thrown a great distance. When he was found his back, thighs, and arms were broken and he soon passed away. An amazing story was told of one child in the house that was next to a chimney when the tornado hit. The chimney collapsed on the child but a board that was wedged over her protected her form being killed by the chimney ruins. After reporting about this tornado John Winthrop tried to figure out what caused these “terrible whirlwinds.” He said concerning the reasoning behind tornadoes “It appears to me so difficult to assign a cause adequate to these effects, to show by what means a small body of air could be put into a circular motion, so exceedingly rapid as this must have been, that I dare not venture any conjectures about it.” Obviously at this time no one understood the mystery behind tornadoes. 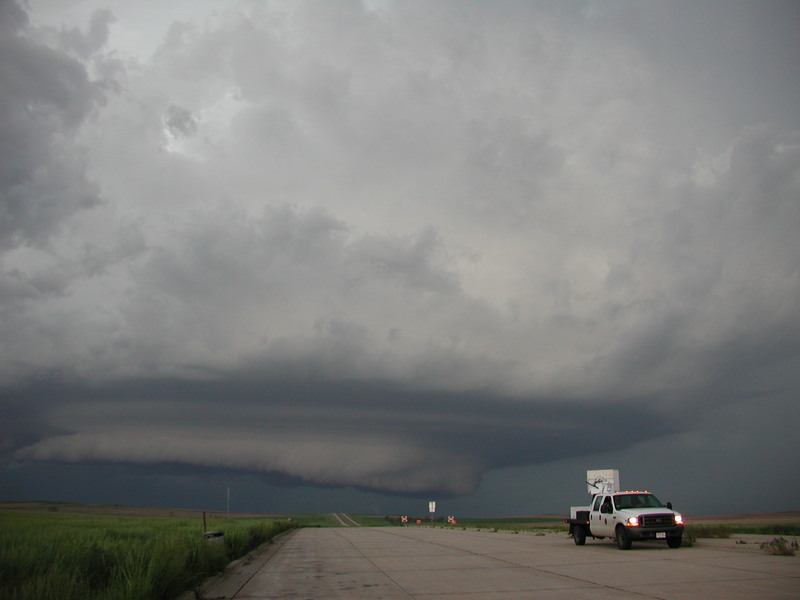 On August 14, 1773 the first instrumental documentation of a tornado occurred in America. Prof. Samuel Williams documented this tornado, which formed as a waterspout on the Merrimac River south of Salisbury. This waterspout moved northwestward and came on land at Amesbury point. 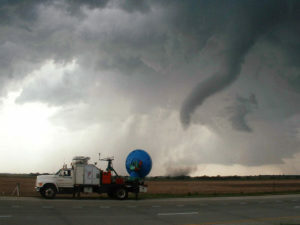 Samuel Williams recorded that before the waterspout appeared in just a period of about 4 minutes the wind blew violently southwest and then suddenly blew west-northwest. After blowing this direction for a couple of minutes the wind died down completely and it became still. After these sudden wind changes it became very dark and the waterspout began its life. When it came onto land at Amesbury it leveled well built houses. Although it destroyed many houses and buildings and threw things thither and yon no one was killed. It was reported that the number of buildings damaged was about 120. In the year 1782 tornadoes erupted in the month of May. On May 23 a violent tornado hit Berkshire County, Massachusetts. It tore trees out of the ground and moved a two-story house from its foundation. Another house was moved about 20 feet. Both of these houses were completely destroyed. Also on May 23 in Vermont a tornado spread destruction through Manchester where it did great damage to grain buildings. On another date in May 1782 a tornado hit New Hampshire. This tornado destroyed fields of grain before coming to buildings that it demolished. It is reported that every barn or building that stood in its way was completely leveled. One man, Mr. Spencer, tried to escape his house before the tornado hit. He grabbed his daughter and he and his wife tried to hurry out. However it was too late. The tornado hit and they were buried in the rubble. The poor child died in the man’s arms. He however was not injured. His wife was injured, but not critically. In 2007 an interesting story developed in Jennings Louisiana where a person was crossing a street to go to work when something dropped from the sky. This was not a chicken little story, the sky wasn’t falling, but it was something very strange. It was worms and many of them. Others checked out the strange event and sure enough worms were falling from the sky. What seems to be a mystery may well be easily explained by the report that there was a water spout reported in the area around the Lacassine Bayou at the same time. Umbrellas are usually made for rain, I wonder, do they make umbrellas for worms too? Don’t forget to get your copy of Tornado Tim’s exciting book.